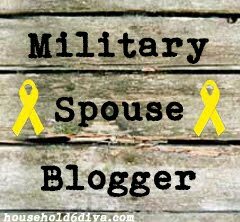 Enjoying Life With 4 Kids: Super Daddy! Joshua is such a great Daddy! He always wrestles with the boys and tickles everyone, whether they like it or not. 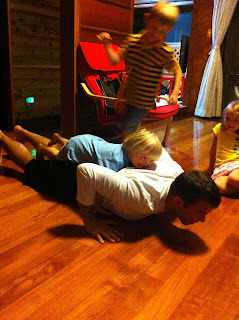 Now, they enjoy pushup time. Go Daddy! That is an extra 35-47lbs. 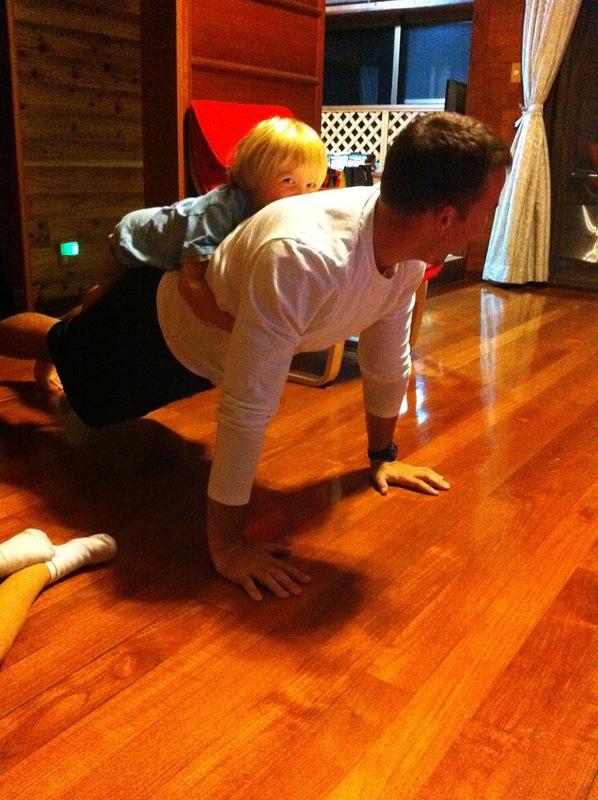 This post would not be complete without 2 videos of push-up time. The kids thought this was so much fun! They can't wait for Josh to get home in a few weeks so they can do this again!